Find the best deal with lowest price of Lenovo Ideapad 320 (80XV00X8IN) Laptop is Rs. 22990.00. Price of Lenovo Ideapad 320 (80XV00X8IN) Laptop is updated today on 18 Apr 2019. All Lenovo Ideapad 320 (80XV00X8IN) Laptop price is in Indian Rupees. Buy online Lenovo Ideapad 320 (80XV00X8IN) Laptop having AMD APU Dual Core E2 8th Gen processors, 4 GB RAM, 1 TB Hard Disk in India from Amazon, Flipkart online stores. 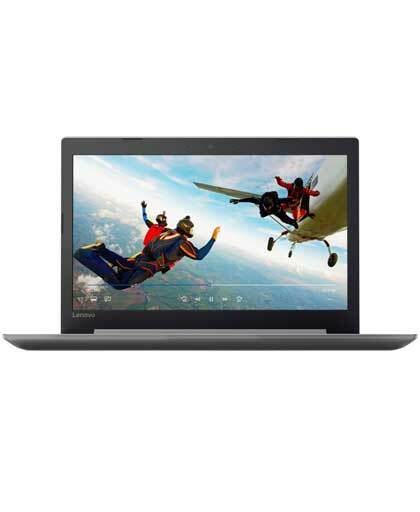 Check Lenovo Ideapad 320 (80XV00X8IN) Laptop APU Dual Core E2 8th Gen (4 GB/ 1 TB HDD/ Windows 10 Home/ 512 MB Graphics/ 15.6 inch) specs, price, reviews, configuration, specification from various online stores. Lenovo Ideapad 320 (80XV00X8IN) Laptop APU Dual Core E2 8th Gen (4 GB/ 1 TB HDD/ Windows 10 Home/ 512 MB Graphics/ 15.6 inch) is ideal for Everyday Use. Get today's best offer for Lenovo Ideapad 320 (80XV00X8IN) Laptop. Lenovo Ideapad 320 (80XV00X8IN) Laptop APU Dual Core E2 8th Gen (4 GB/ 1 TB HDD/ Windows 10 Home/ 512 MB Graphics/ 15.6 inch) available to delivery in New Delhi, Mumbai, Bangalore, Chennai, Hyderabad, Pune, Jaipur, Lucknow and many major cities of India.